I love interesting jewelry. A cool statement piece, a necklace with some sparkle, something bright. In my current casual state, I’m typically in jeans and a tshirt all day. So when I head out for an event, it’s typically some black (it’s easy and fast! ), so like to add some fun with something from my jewelry collection. Most of my fun baubles tends towards the less expensive end of the range. For more creative color, I have a few Femmegems pieces I’ve made, but most of the rest is things I’ve picked up here and there. Last Wednesday I went to an event at Tribal Societe to support Young Executives for Success (Y.E.S!) and Dress for Success. 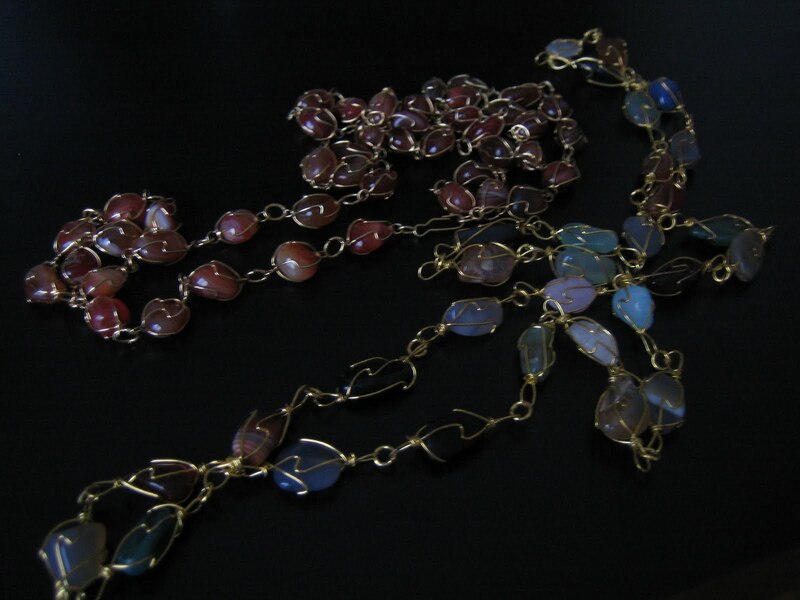 A perfect opportunity to sip wine, mingle and try on jewelry. 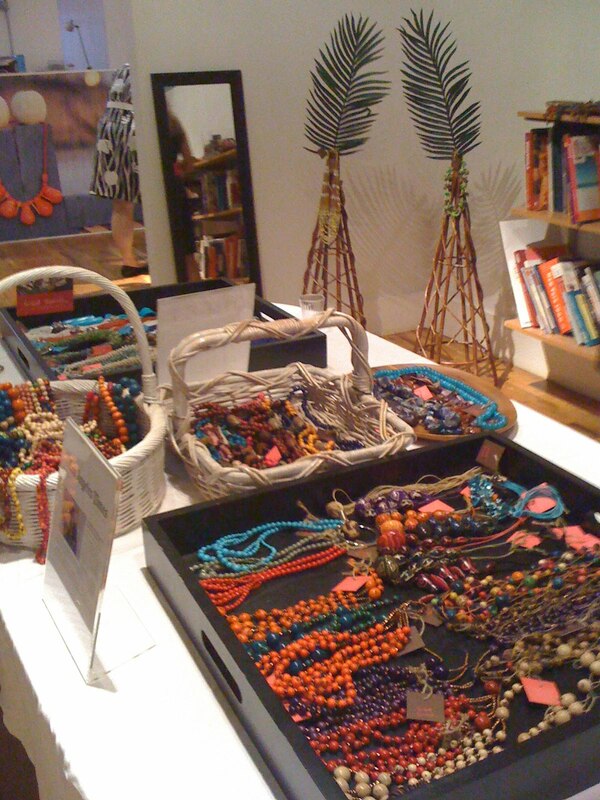 Tribal Societe showcases products that are hand made by artistans of tribal villages worldwide. The showroom is a great little space on Hudson Street and the website is very searchable (by jewelry piece, price range, color). The company was launched in March 2009 by Nicole Basabe and Alma Sehovic (who met in BSchool, yay for Bschool ladies!). It’s been featured in Stylecaster and Daily Candy. This is the necklace I purchased. Actually, I had on one strand and then Alma suggested that it’s even better with 2, and that she wears 3. Needless to say, I walked out with 3 strands. She gave us a few business cards in case anyone asked about our purchases when we wore them. And actually, I got a complement the next night at the Inhabitat event (see last post). So it was clearly a great purchase. Going to break out all 3 strands this Fall! A perfect ensemble! And I love how you quickly moved up to three strands. Sounds fabulous.